Michael Duggett has wide ranging experience of public administration in European and International settings through his work as Director General of the International Institute of Administrative Sciences in Brussels that works with the United Nations, as well as due to being a career Civil Servant working in the cabinet office, the Department of the Environment and the Economic and Social Research Council. He has published extensively on public policy and public administration and lectured in numerous countries. He has been Visiting Professor at the University of Beijing and is currently a member of the Commonwealth Association of Public Administration and Management and the First Division Association, a Chartered Fellow of the UK Chartered Institute of Personnel and Development, and a Member of several Editorial Boards and Advisory Boards for high-profile journals and associations. He has a BA (hons) in Politics and Sociology, an MPhil in Politics and a PhD. As a community activist Audaye was one of the founders of the Low Carbon Exeter group, now Transition Exeter and has been involved in many grass roots community and environmental and social actions. He's also an active member of the Green Party. Professionally he's currently involved with delivering emotional resilience training and managing projects with organisations and groups around the South West. Reijo Kemppinen is Director-General of the Council of the European Union. Previous posts include Director of Communications at EBRD; head of Representation in the United Kingdom at European Commission; and Head of Representation in Finland at European Commission. Other jobs were as diverse as journalist, reporter, regional correspondent, producer, and news editor. He also has professional experience within audiovisual production as Director of several publicity and promotion films and as Finnish narrator of European Commission films. He has been a Visiting Lecturer at Templeton College, Oxford, the European School of Journalism and the Irish Institute for European Affairs. His publications include ”The future President of Finland” (US Media, 1987),”ECU, the common European currency” (VATT, 1992), ”Basic facts about the European Community” (Edita, 1992, 1993),”The Finnish membership of the European Union” (Edita, 1994, 1997, 1999, 2002) and ”Belgium, a great small country in the heart of Europe” (Edita 2000). Claudio M Radaelli joined the department of political science at University College London on 1 September 2018 to take up the chair in public policy. At Exeter University Claudio spent 14 years as professor of political science and director of the Centre for European Governance since its inception, in 2008. Born in Milan (1960), he taught at Bradford University in the department of European Studies, directed the programme on regulatory competition and cooperation at the European University Institute, and was IdEx chair at Sciences-Po Bordeaux in 2014. Claudio has published 80 articles and written or edited 18 books and special issues of academic journals. His main fields of specialization include the theory of policy learning (his 2018 co-edited volume with Claire A Dunlop and Philipp Trein is on Learning in Public Policy: Analysis, Modes and Outcome, Palgrave), regulatory reforms, and the European Union’s influence on domestic politics and public policy. Myria Vassiliadou was appointed Secretary General of the European Women's Lobby in April 2007. She is committed to women's rights and equality between women and men. Her main research areas are the media, gender, interpersonal and ethnopolitical conflict and civil society activism. Myria was a founding member of Board of Directors of the Mediterranean Institute of Gender Studies where she served as the Chair from 2006-2010. She was also the Director of the Institute from January 2000 - September 2007. She worked at the European Commission for three years as a Detached National Expert / Research Officer and managed projects relating to the Social Sciences and the Humanities at the Directorate General for Research. In December 2010, Myria was appointed as European Anti-Trafficking Coordinator of the European Commission. 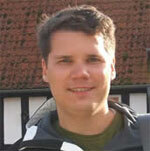 Jörn Ege is a post-doctoral researcher at the German University of Administrative Sciences Speyer. His research addresses the autonomy of international bureaucracies. Honorary Research Fellow from December 2017 onwards. Daria Gritsenko is a postdoctoral fellow at the Aleksanteri Institute (University of Helsinki) and a partner at the Finnish Center of Excellence “Choices of Russian Modernization”. Pierre Georges Van Wolleghem obtained a PhD in June 2017 at the Graduate School in Social and Political Sciences of the University of Milan. Since 2012 he has been working for the ISMU Foundation. 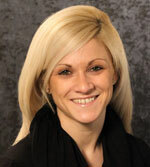 Tamara Jovanovic was a PhD fellow at Roskilde University in Denmark, when she visited the CEG. She is now lecturer at Roskilde University. Christoph Ossege was a PhD student at BIGSSS, a joint Graduate School of Bremen University and Jacobs University when he visited the CEG. He now works at the European Central Bank in Frankfurt. Esteban Arribas is Lecturer in Politics at the University of Alcalá, where he teaches several courses, including Comparative Government and Politics, Public Policy Analysis and Media Policy Regulation. Dolors Canals Ametler is currently a Senior Lecturer in Administrative Law in the Public Law Department at the University of Girona. Auri Pakarinen was finishing her PhD at the University of Eastern Finland when she visited the CEG. More about her on her website. 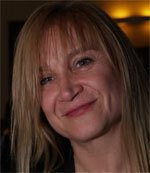 Sandra Kröger joined the politics department at Exeter as a Marie Curie fellow in Septem ber 2011. She is now senior lecturer and a member of the CEG. a visiting researcher at the Tremough Campus of the University of Exeter, thanks to a research award obtained with the project titled “EU policies and climate change. Consequences. Comparative study between Spain and United Kingdom”. She is now a lecturer at the University of Chester. Andrea Pritoni was a post-doctoral researcher at the Faculty of Political Sciences “Roberto Ruffilli” (University of Bologna at Forlì), when he visited the CEG. 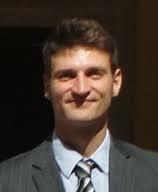 He is now a research fellow at the Scuola Normale Superiore in Florence. Amie Kreppel is a Jean Monnet Chair (ad personam) and serves as Director of the University of Florida’s Title VI funded Center for European Studies (CES) and the European Union funded Jean Monnet Centre of Excellence. She is an Associate Professor in the Department of Political Science. Marie-Christine Fontana was a PhD student at the University of Lausanne, Switzerland when she visited the CEG. Her research focused on the impact of European integration on domestic policy-making processes in small consensual states, in particular on corporatist policy-making in Belgium and Switzerland. Alessandro Natalini was Assistant Professor of Political Science at University Parthenope in Naples when he visited the CEG. He is now member of the Italian National Authority against Corruption. Erica Melloni was a Ph.D candidate in the “Istituzioni, Amministrazioni e Politiche Regionali - IAPR” course held by the Universities of Pavia and Milan at the time she visited the CEG. She is now Director at the Istituto per la Ricerca Sociale in Milan. 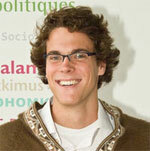 Oliver Fritsch was a Ph.D. researcher at the University of Aarhus, Denmark at the time he visited the CEG. He is now part of the faculty of Environment, School of Geography at the University of Leeds. Cristina Cullell March was a Ph.D. candidate at the International University of Catalonia, Spain when she visited the CEG. She is now researcher at the VUB's SMIT Research Centre. Martino Maggetti is an associate professor in political science at the Institute of Political, Historical and International Studies (IEPHI) of the University of Lausanne, Switzerland. More about him on his website.